Job boards are the perfect solution to track productivity and to communicate better with your team. These visual boards allow you to quickly know what jobs need to be completed and to determine if jobs are on time or if they are falling behind. 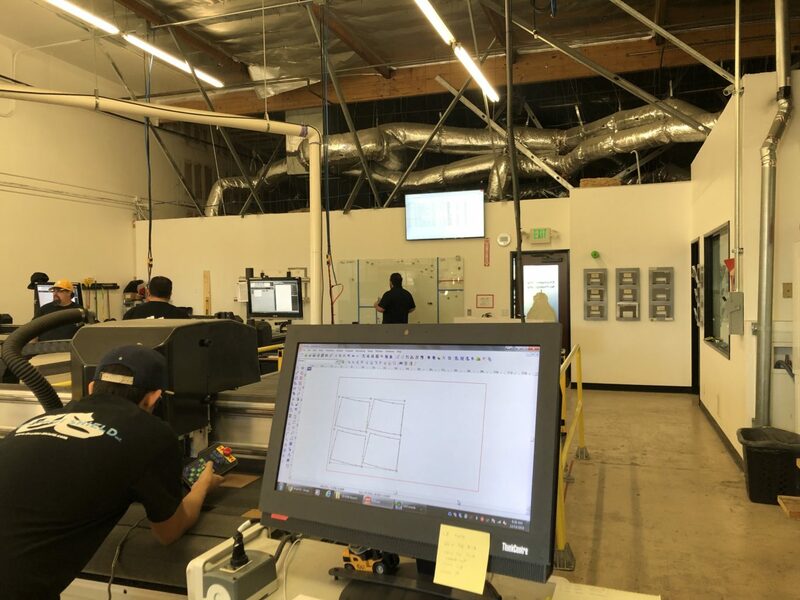 Custom fabrication shops are very busy and often have many projects to keep track of, as well as many people manning each project. Having accessibility to jobs boards keeps them in informed quickly and enables them to be more efficient. ShopVOX’s job board is one of it’s most loved and used features for custom production shops. At a glance, managers, installers, designer and the rest of your staff can easily be aware of the most important projects of the day. The job board is most often accessed from a computer, which has a plethora of benefits. However, we recommend that you also make your job board even more accessible to your team. 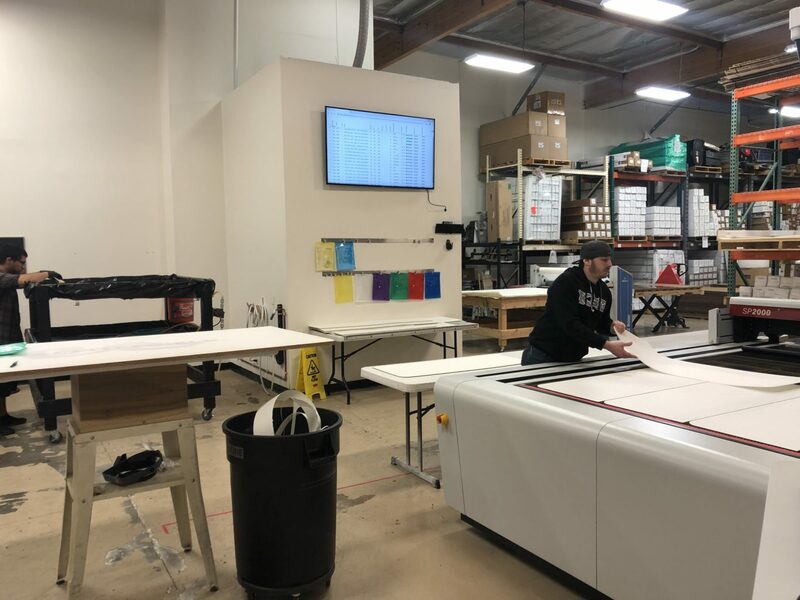 In November, Rao Meka, one of the co-owners of the shopVOX, implemented shopVOX at Graffiti Shield, a custom fabrication shop in Anaheim, California. They conveniently have their shopVOX job board displayed on large flat screens throughout their shop. In the images in this article, you can view their job board at the front desk, in a couple of areas of their production area, and at desks. This allows for their team to easily be in the know of what needs to be completed and when. While shopVOX is extremely useful on your computers and smartphones for quote, invoice, proof, customer and employee management, it’s also beneficial to enable shopVOX to be on display throughout your shop like Graffiti Shield’s shop demonstrates. Consider how you can adopt a similar model so that you can get more out of shopVOX, too. Sign up for updates from this blog, as we will also share another great example from a custom shop in New Zealand.